Here at DB Sport Tours we pride ourselves as the best sports tours and team trips company in Ireland; today we want to tell you about an exclusive package on offer – a trip to the Futbol Salou Camp in the Cambrils Resort in Spain. We specialise in such global team trips because we believe it is such eye-opening experiences which bring the most out of footballers – and the development of Irish youth players is at the core of our work here at DB Sports Tours. We believe DB Sports Tours is rightly at the forefront of the team tours market due to our vast connections worldwide, but especially here in Ireland; the package available is exclusive to DB Sports Tours throughout both the Republic of Ireland, and Northern Ireland. The package, which includes accommodation at the Cambrils Resort, includes many optional extras, intended to provide the most valuable experience for all of our customers. The Cambrils Resort, which is situated by the city of Reus, is approximately 7.5 km from the picturesque city of Tarragona, in Catalonia, Spain. 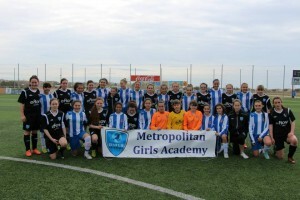 In the past year we have had several different clubs go on the trip – such as the Collinstown under-14 side, Malahide United, MGL Girls, Park Celtic, Knocklyn United plus a host of Irish sides. Pivotally, this trip is based around the development of our customers as footballers. In each trip there will be a training session held by an UFEA Pro License Catalan Coach. Furthermore, there will be one competitive match against similar standard opponents – all levels available. The Futbol Salou Sports Complex is vast in terms of essential amenities for our customers, all honed towards the most efficient route of development for each players. In the complex there are six pitches of 11 a-side football convertible in 12 pitches of 7 a-side football and four pitches of natural turf. Not only that, there are also two pitches of artificial turf with floodlighting and physical training areas. Practical development is at the centre of our ideas for development, but we also recognise the necessity of technical development too – we want out footballers to think with creativity as well as play with it too; on-site classrooms are there to aid this essential process. The resort itself in Cambrils will be the backdrop of your trip of a lifetime. For our standard package of three days and two nights, you will stay at the four Star Superior Cambrils Park Resort (which includes three swimming Pools, basketball Courts, football pitches & more). The standard package wants to cover all the necessities for a valuable trip for each customer – it includes a full board of breakfast, lunch, and dinner. As previously mentioned, along with the standard package, there are several extras available to add further valuable experience for each player. For example, a day trip to the city of Barcelona is available, where you may also want to sample some La Liga action with the possibility of watching a match at the Nou Camp a possibility. The extras don’t end there though; you may want to let the hair down at the PortaventuraPark – the world famous theme park. Should you wish to extend your stay that is also a possibility which can be discussed when arranging your package. Since DB Sports Tours began we have always strived to provide the most valuable experience for our customers. We have seen many teams go from strength to strength by taking in experiences such as the Futbol Salou Training Camp, and year on year, we are looking to fine-tune these global trips. This year, we believe it is better than ever. We hope to hear from you soon.